I love reading romance. And I love writing it. So I came up with three reasons why that I thought I’d share with you today. You know from the start that the ending will be satisfying. There is nothing worse, in my mind, than reading a book and experiencing all the emotional upheaval that the characters go through and then, you get to the end, and–bam!–no resolution. (Or, worse, a bad ending.) With romance, you know that the guy and the girl, no matter what they go through up to that point, will end up together. Now, maybe it’s just a “happily for now” ending instead of “happily ever after,” but hey, at least you can spend some enjoyable time building them a dream home and naming their kids when you’re done with the book. There’s a lot of scope for tackling tough issues within the confines of a romance. Romance novels don’t have to be light and fluffy (not that there’s anything wrong with light and fluffy! I love those romances, too.) As couples get to know one another and move toward love and marriage, there are a ton of issues they can run into. And when you’re looking at them from within the bounds of a fledgling relationship, youcan get a lot of tension that goes beyond the tried-and-true. And, looking back up at number one here for a second, no matter the depth of the issue, the reader still has that promise of a happy sigh coming. There’s a line in the movie “50 First Dates” that goes, “There’s nothing like a first kiss.” And that is true. Even though I’m happily married for coming up on 21 years, I love first kisses. At this point, that means I love reading about them. There’s that humming tension–will he? Won’t he? Should she? You can’t replicate it. And when it comes–wherever it comes in the story–it’s like a time machine that transports me back to my first kiss with my husband and I get to relive that memory a little through the eyes of the characters in a book. So I’m going to challenge you to stand atop your desk, a la The Dead Poets Society, and proclaim to the world that you love romance novels and you aren’t ashamed to say it! Stop hiding your books behind the cover of Ben Hur or Oprah’s latest book club choice, and embrace the romance. I suspect you’ll find that the people around you are every bit as in love with romance as you are. Not all secrets can be kept. 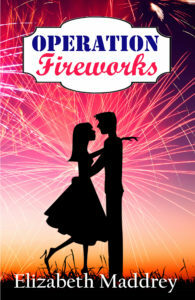 Operation Fireworks is the third book in the Operation Romance series. You can get your very own copy of Operation Fireworks at Amazon. 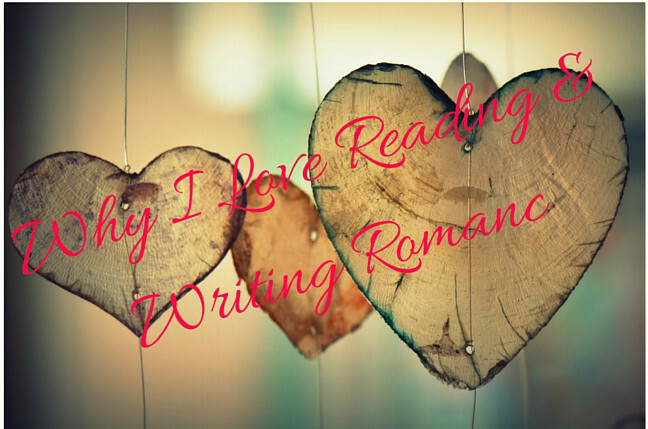 Leave a comment and let me know what you love about reading (or writing!) romance novels. I’ll choose one random commenter on June 25th to get a free e-book of my upcoming release, Operation Fireworks. I love to read and write romance because after watching the news, I need a little happily ever after. I enjoyed your blurb, Elizabeth! So true about the news, Jill! :) and thanks! And Yay! Hope you get some time to read soon. Thanks for pre-ordering. I love that, Wemble. God’s Big Story is absolutely the best happy ending. Thanks for commenting! Also shouted aloud this morning that I love reading romance novels. My husband was the only one in the room (does that count?! ), he started at me and said “so what?” Then went back to reading the newspaper. Priscilla, your husband is awesome. :) (and so are you for following directions ). Escape from reality is so necessary sometimes and I love that books give us that chance with relatively little fuss or expense. I love romance because I’m guaranteed a happy ending. I love happy endings. Happy endings are absolutely the best! 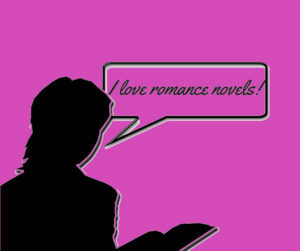 I like reading romance for something fun and relaxing. It is interesting that God and human nature are the same through the ages. People get in various situations and God delivers them! :-) I like the happily ever after that romance provides. Real life gives us the reality, but romance gives us a reprieve. That’s beautifully stated, Diana. And thanks for pre-ordering! I forgot to add, I have a pre-order copy of your book, so I don’t need one. Oh I love other genres, too. But romance is definitely tops for me. Isn’t it good that there’s something for everyone? I love reading romance because I love happily ever after! Life is full of negativity and I like knowing they will end up together. I enjoy reading romance. Add in some adventure or some foreign country, and I’m all over it. Oh definitely. there are some great romances with adventure and new locations. Books are definitely good for escaping! I remember one time telling someone that I write Christian romance, and the person (a man), looked at me with eyes wide. “Heaving bosoms?” I still chuckle about that. It’s funny the perceptions people have about the genre of romance. There’s so much more to it than non-romance-readers realize. Ha! Heaving bosoms indeed. Romance has come a long way. And to think I once thought there was a limit to the number of ways couples could misunderstand/hurt each other and work through it. I’m almost finished writing my 19th (!!!) romance, several of which are unpublished, and I’m finding more and more ways through the tried-and-true romance “formula.” I love it. I love that our human romance shadows the Great Romance of Christ and the church. I’m about 1/3 through Operation Fireworks and enjoying it! I love the group of guys you thought up for your Operation series almost as much as the guys in your Taste of Romance series. 19! Wow. :) but yes, the ways are varied and many…that makes me happy. I love Christian romance!! I guess that’s pretty obvious. :) Enjoyed your post, Elizabeth. I looked at your book yesterday, and I will pick it up from Amazon today. I always say that love began with God loving us enough to send His Son to die in our place, and what greater love story can there be? It all begins with love. I love writing about that cord of three strands in my books. Regarding #3, I like how writing that first kiss reminds you of your first kiss with your husband. That’s a precious thought! :) I prefer to write about that first blush of love and first kisses more than any other scenario (even in Second Time Around, it was like a “new” love for Marc and Natalie as well as for the reader). That first glance, first meeting, first date, first kiss… Sigh. Every beloved book and movie has a love story of some kind at its core. I love writing Christian romance, and I’m not embarrassed to admit I also love reading it. Blessings! I loved Second Time Around — you did such a lovely job with it! And yes, I love God’s love story with us. How blessed we are to have Someone willing to woo and pursue us. Amen! And thanks re: Second Time Around. I’m so happy you enjoyed it. :) Wishing you the best with your new book. I have my copy! Congratulations on your newest release, Elizabeth! Operation Fireworks…what an awesome title! I really enjoy inspirational romances. They are a great clean escape. They can also inspire you in a good way. I have already ordered the book since I have the others in the series and really enjoyed them. I will say I love the inspirational aspects (both the Spiritual inspiration as well as other) that are in inspy romances these days. I love that I can think and escape and be entertained all at the same time. Congratulations on your new release! I enjoyed your post. I, too, love inspirational romances for the happy ending and spiritual aspects included. It’s so exciting that there are so many talented Christian fiction writers now, and I keep finding new ones! My TBR pile is overflowing and becoming a mountain. Your new book looks and sounds intriguing. Thanks for sharing your talents! Thanks, Winnie! I’m also excited by how much talent there is out there. I like romance also, as the stories let you escape to another time and let’s you become involved in the life of others. Keep up the good work! Thanks.